Though coined by Carl Jung in the early 20th century, the roots of modern analytical psychology can be traced back to the work Alfred Adler and Sigmund Freud. Adler’s focus in ‘individual psychology’ and Freud’s ‘psychoanalytic theory’ inspired Jung to introduce the term ‘analytical psychology’ as a new approach to clinical work and theorizing in the field. Inspired by the work of psychological theorists before him, Jung’s approach took elements from a diverse range of fields. While based in empirical analysis, Jung’s new analytical approach drew from mythology and folklore. Overall, Jung’s outlook was that a legitimate understanding of the Self can only be attained with an all-inclusive perspective that incorporates overarching history and culture as well. Since its introduction, Jung’s analytical approach to psychology has been divided into three distinct variations: classical, developmental, and archetypal. 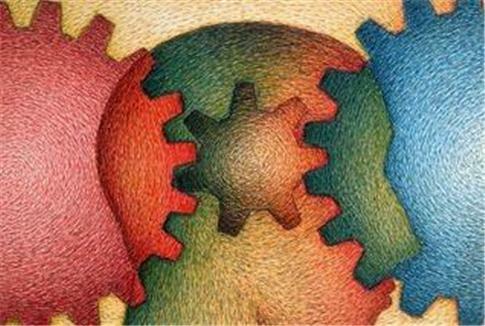 While each of the three variations has a shared foundation in empirical psychology, they have important distinctions. Of all three of the variations, classical is the closest to Jung’s original outlook. Compared to classical analysis, developmental and archetypal analysis are slight deviations from what Jung originally laid out. Archetypal analysis takes a more spiritually-oriented approach to therapy, and developmental analysis focuses more on the formation of individual personalities. The developmental variation of Jung’s analysis has been compared to Object Relations Theory. Object Relations Theory was brought to light by Melanie Klein, and other notable figures often mentioned in discussions of developmental theory include Andrew Samuels and J. Redfearn. While the developmental theory centers on personality formation, it isn’t as focused on the Self as the classical theory. Archetypal theory, compared to developmental theory, deeply explores the idea of basic “hard-wired” elements of the Self that lends themselves towards the growth of one’s spirit and mind. Archetypal theory, in a metaphor popularized by Robert Moore, could be considered a comparison of the mind to that of a computer. A default programming of a computer, according to Moore, represents the fundamental archetypal makeup of the mind that would result in a uniquely-molded personality. Though archetypal psychology is treated as an extension of analytical psychology in this context, the term has independently been discussed as an aspect observable in some of the earliest cultures of ancient human beings. Some members of the archetypal psychology school of thought believe that long before the formalization of the term in modern empirical psychology, aboriginal humans were already exploring the notion of Self through songs and poetry romanticizing the “journey of the soul”. Though Jung was a psychiatrist by trade, his theory has been applied in a diverse range of academic fields, many of which being in the humanities. The analytical approach was used in hopes of providing a better treatment prognosis for patients suffering from conditions such schizophrenia. Even with its application in the field, Jung did not consider his analytical approach to be a standalone psychological discipline. Jung considered analytical psychology to be his personal contribution to the field that could hopefully combined with other theories to good effect.